This past month I seem to be working on lot on improving shoulder turn with many of my golfers. I thought I would write a short post on some helpful exercises that all of you can do on your own to help create a bigger turn. 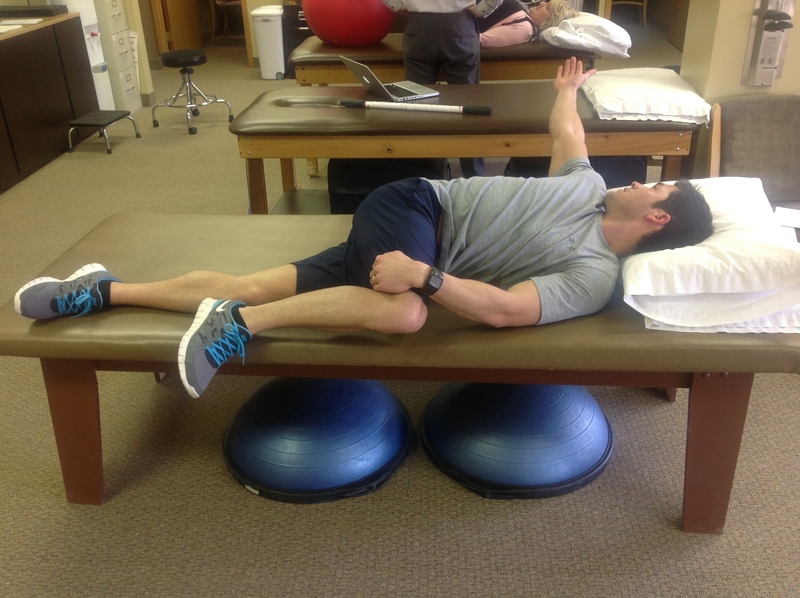 The first exercise below is called the “Open Book” stretch. This helps stretch all muscles from your hips all the way up to the cervical spine which helps improve your rotational flexibility. Hold the stretch until you have completed 3 slow, deep breaths. The deep breathing will help stretch your intercostal rib muscles which will also help improve your shoulder turn. 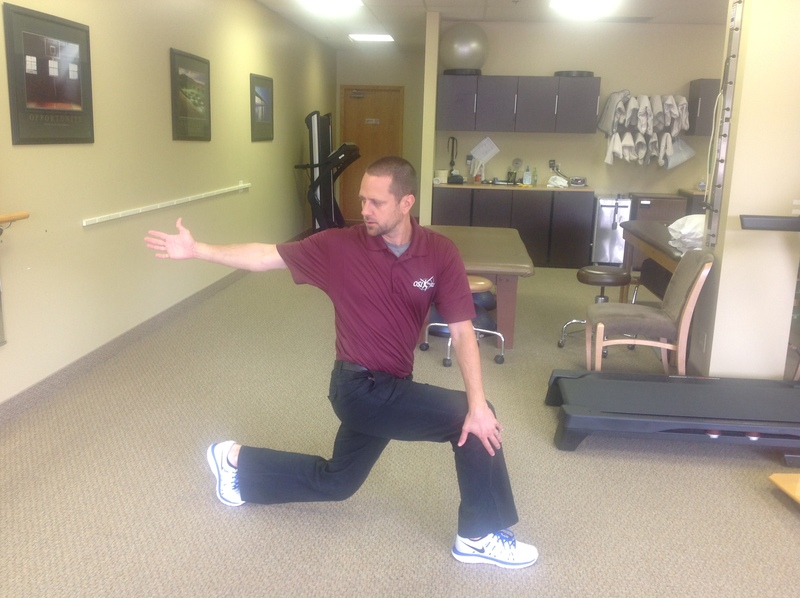 The second exercise is called “Lunge + Trunk Rotation.” This will stretch hip and trunk muscles as well but also incorporate some lower body and core strengthening as well. Hold again for 3 deep breaths. Both of these exercises should be performed on each side and for 3-5 repetitions with no pain. Good luck and please feel free to contact me at our White Bear Lake OSI Physical Therapy clinic at anytime if you have questions!